Bouldering In Murcia – Some Like It Chipped! Are you up for a few of days of bouldering in Murcia? Let's go then! 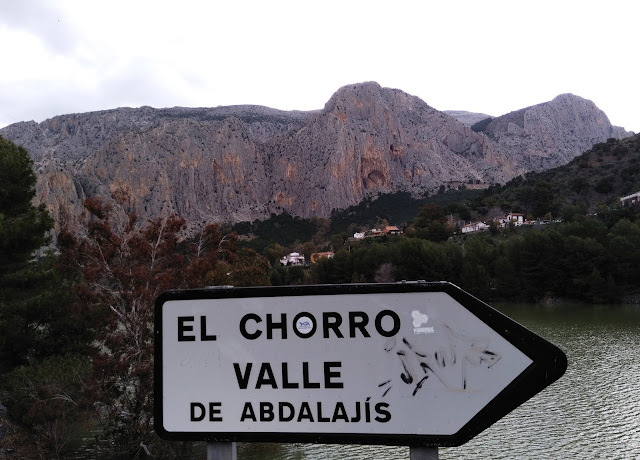 Drive through the city part of Alberca Las Torres, enter the El Valle regional park and squirm up the hill for a couple of minutes. In the shady forest lies a band of limestone boulders, that offer you problems from 5+ to 7b. Around the corner and up the overhang gives you a decent 7a strength training. Hold on a second. 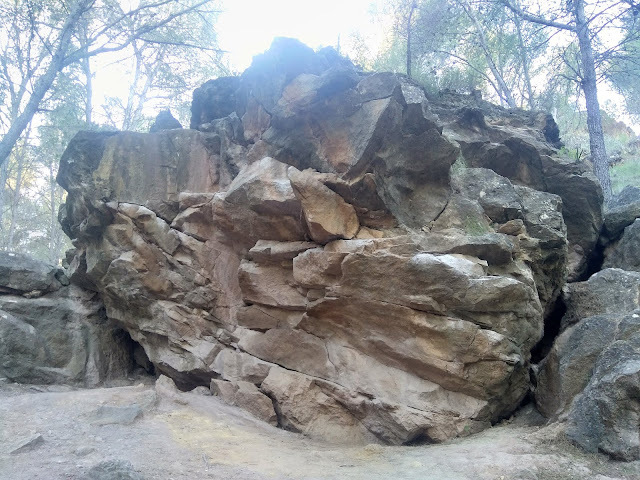 Why am I sharing our encountering with these boulders, that can't be described as 'breathtaking', 'crazy cool' or anything else exceptionally great? Because I want to show you a glimpse of what's a climber's life on the road really like. 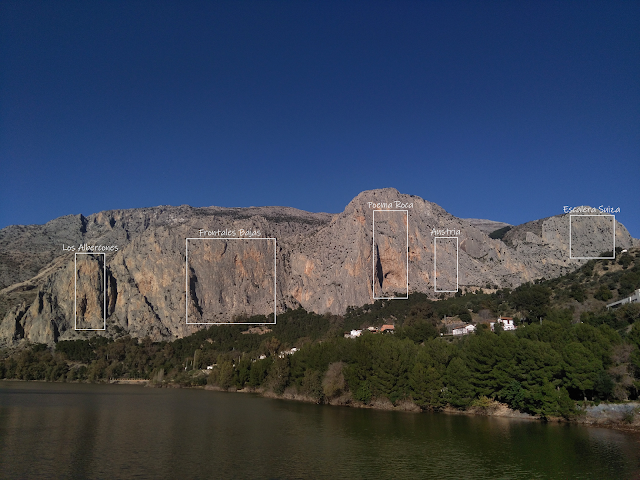 In that life, you aren't always climbing at world-famous crags (like Verdon) or even at medium-sized cliffs (like Rédovan). Every once in a while you end up cranking smaller and less-known rocks, that just happen to be near you. 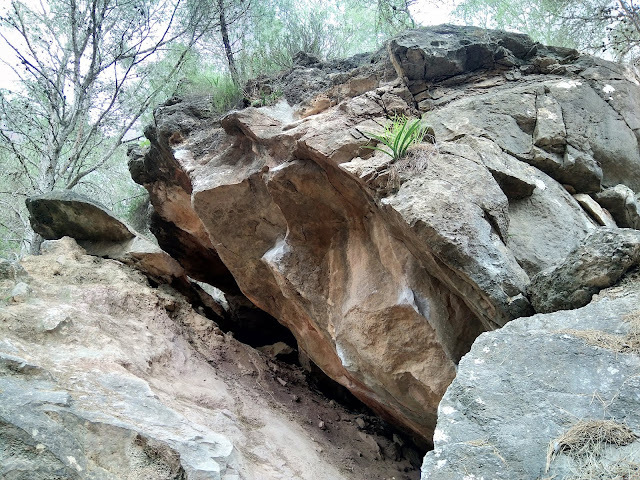 The boulders in Murcia are exactly that. A handful of blocks, that feel almost abandoned by local climbers and are not really known by tourists. They offer you enough puzzle for one weekend, if you happen to be visiting Murcia anyway. But there's something, that's weird about these boulders. As the headline implies, some problems seem to be have chipped holds. What a blast from the past of climbing in Murcia! Sadly many of the problems are very polished. At some point before the era of indoor gyms the place must've been busy as hell. Chipped problems have clearly seen most traffic, but the rest have a fair share of glassy holds too. To even things up, the unpolished rock is rough like dinosaur skin. This sprayed 5+ traverse is half very polished and half unpleasantly sharp. There's one true gem in the woods, though. In the middle of pine trees and brown dust lies an odd-looking block cut by a hundred cracks. It features a handful of juggy routes offering a short, but fun pastime. Fill the day with harder problems on the two neighboring boulders. Despite the looks, this rock feels solid in hand. 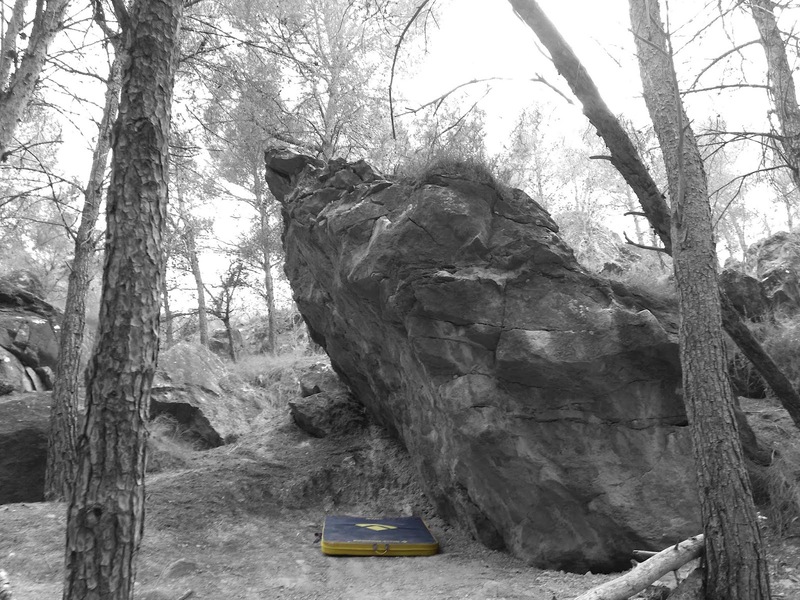 Some of the boulder problems in El Valle have a rough landing. A couple of crash pads are essential here. What about the access? Boulders in the middle of a forest sound like there's going to be a lot of sweaty scrambling... Well, that's where you're wrong. A clear path takes you from the concrete road to the farthest boulders in about 10 minutes. 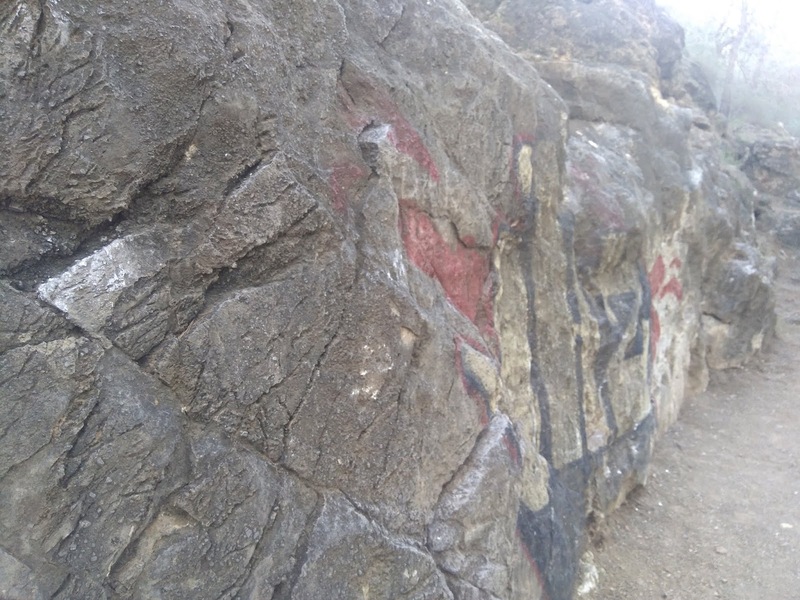 The blobs by the road also feature several enjoyable problems around 6a. In order to get the exact location as well as an online topo for the boulders, download 27 Crags or visit the site. The boulders are found by the name La Luz. Can you spot the three 6a problems in this image? 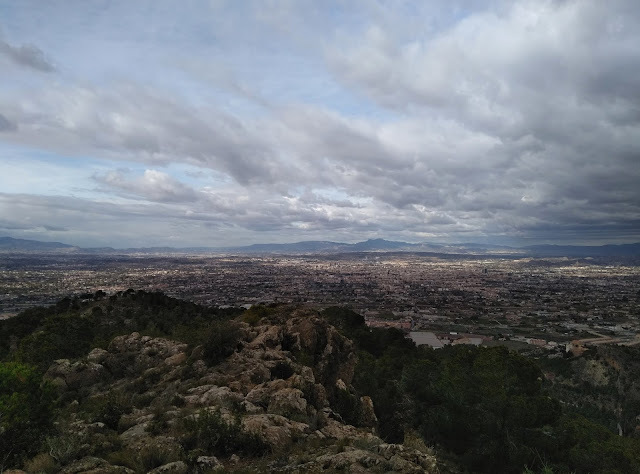 All in all there's no real reason not to go bouldering in the hills, that look over the never-sleeping city of Murcia. Cranky climbing in a quiet and sheltered forest doesn't sound too bad, does it? After spending a day in the shade, the sunset and city lights make a romantic view to stare at. View from the hills of El Valle is pretty, when city lights up after sunset. 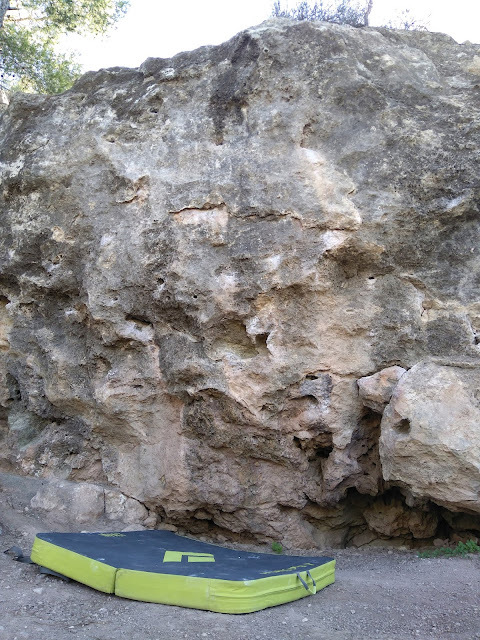 I'd say bouldering in Murcia was one of the better experiences of 'trying out a local crag'. The smaller crags hardly ever meet your expectations, but more of that in some other post. 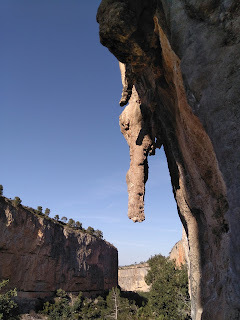 Stay in tune for more up-to-date information on climbing in Costa Blanca, Spain!